Appearing in your inbox every other week, TAKE5 gives you an update on the latest Meetings, Incentives and Business Travel related news. It contains short and to the point information on venues, people, happenings, lifestyle and general news that cannot wait to be told! BBT Online guarantees you 15 new ideas in just 3 minutes. Enjoy our 19th edition. Just imagine…..3 days tour by Vespa Piaggio discovering the greatest wines of Piemonte: the Barolo, the Barbaresco and the Roero. 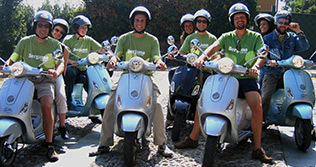 Or how does a 4 days tour by Vespa Piaggio in Tuscany strike you where art, gastronomie, culture and above all the art of well being will be the perfect frame of your Vespa journey, along 4 different and varied itineraries: the Chianti Tour, the Etruscans Tour, the Montespertoli Tour and the Tour of Val d'Elsa and Montagnola. Sold? If you are an amateur of beautiful old cars, mark the weekend of May 8 & 9 in red letters in your diaries! 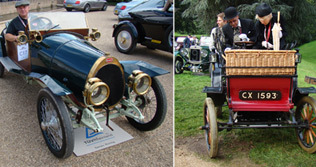 Cars made between 1920 and 1975 will not only compete in a rally but there will also be the not to be missed ‘Concours d’Elegance’ for the cars on Sunday. Gentlemen in adapted ‘car gear’, ladies in their finery and above all, elegant cars will be judged by a professional panel and all participants will fight for the main trophy. All this an initiative of Emmanuel Bacquet, the new Manager of the Waterloo Battlefield and great car buff. Always wanted to fly?....Now you can! No ladies, this is not a dating site, but this site is made by and for pilots who really want to accumulate flying hours but do not get enough opportunity to achieve this. The pilot rents an aeroplane at the local flying club or aircraft rental service and plans the trip with the passengers. By subscribing to this flight matching services site, you speak direct to the pilot who makes arrangements for the trip you have in mind. It will not get easier than this. Registration on the site is for free..go for it ! Everybody has admired the daredevils in the mountains that fly around in these little toy flying contraptions …parasailing with or without engines. In Liernu near Eghezee (Motorway Brussels-Namur) it is possible to learn to fly solo in just one day. But if you are not brave enough to tackle the skies by yourself, why not try a duo-flight with an instructor. 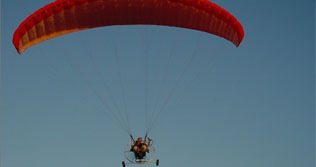 It is gliding all the way through the skies and enjoying spectacular views of the countryside! A feeling of total liberty takes over...a feeling that says ‘ I can fly’ !! www.getwet.nl – from 70 eur per person. On Thursday March 11th, OPT invites all agencies, corporate organizers and other MICE specialists to discover a wide choice of great & original ideas for meetings, incentives, team buildings and family days. 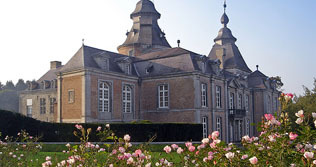 There are many prizes to win during the day: Iphone and great stays in Wallonia. Registration, click here. BBT Online readers share their top favorite restaurants, hotels, destinations, personalities, and so much more with you …..
Partners in business as well as in life, Elie Lores Blanes (pas president Site Belgium) and his wife Dominique Vermeirsch of the Belgian Incentive Agency Master Events are in total sync for a lot of things, but it is interesting to see how Elie’s Spanish roots keep on coming back and Dominique surprises with a love of …football. Their eat & sleep suggestions are a mixture of classics and new ideas…enjoy this first class double act! Click here. Surf to our archive and get more tips from other BBT Online readers. Click here. When you ask 10 people about their favourite city, you may rest assured that New York/Manhattan is definitely mentioned at least once if not more. The Standard, the youngest of André Balazs’ Standard hotels collection, opened in late 2008 and has since taken the New York City hotel scene by storm. The “King Standard”, as the New York Daily News calls it, is situated inside Manhattan’s Meatpacking District. BBT Online recently got an intriguing invitation to visit the Catalunya Region of Spain on a familiarization trip for ‘trendy women’. We could not resist such an original invitation. So Viviane Vogels, one of our female journalists took off and a ‘different’ study trip it turned out to be! Read more…..and join her in discovering novel aspects of Barcelona and about pure organization! Click here for the full text. We have admired Flamant Interiors, we have enjoyed Flamant Dining, now the time is ripe to discover Flamant Sleeping or in other words: Hotel des Nuits. The first Flamant steps in the world of hotels is an immediate high flyer: a boutique hotel in a great central location with 24 individually decorated luxury rooms destined to make your stay memorable. With the spring – hopefully – at our doors, it is time to start looking at our wardrobes again or re-organize our houses. What have all these activities in common? Right: shopping! 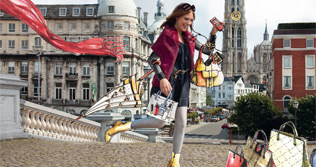 And where better than in Antwerp: easily reachable and all shops within walking distance in the city centre. The city is ‘dicided’ in 7 districts, each representing endless ‘must haves’. District 1 is diamonds - on every street corner. It’s Central Station. District 2 is big on names, location and history. It’s the Meir. District 3 is tradition, chocolate and good food. It’s the historic city centre. District 4 is craftsmanship and exclusivity. It’s De Wilde Zee. District 5 is luxury, shoes, clothes, antiques and decor. It’s the Quartier Latin. District 6 is unique fashion, Antwerp’s big names. It’s the Fashion district. Tempted? 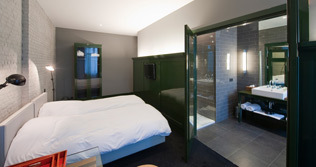 I should think so…forget Paris & London or Milan, Antwerp is nearby, easy and affordable..and the shopping is to die for…the best of all worlds in the city by the river..and a wealth of hotels large & small to choose from for a cozy weekend! B&B: 5 selected just for you ! Verne Dreaming is situated in the heart of Ghent. The owners, 2 photographers, have been to many places and traveled around the world. 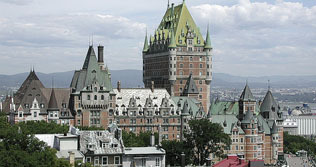 Air Canada will operate a daily non-stop service between Brussels and Montreal as from June 13th 2010! The magic of Montreal and the beauty of the whole province of Quebec are now on direct tap and what a great offer & variety they propose! The Québec Ministry of Tourism, Air Canada and BBT Online join forces to give a select group of Belgian Incentive Operators the opportunity to travel with them on a short discovery trip of Quebec. Departure Brussels June 17th, return from Montreal June 21st (arrival Brussels 22nd). Are you an Incentive House and are you interested in participating, click here and send in your application. As seats are limited, you will be advised in the near future if your application was successful. See you soon in Quebec on Air Canada! A venue that cannot get enough exposure in our opinion, and that for many reasons. It is a place where Art and Entertainment find each other and is situated in the new cultural centre of Brussels: avenue Van Volxem. The main mission of Indigo Studios is to encourage young emerging artists. 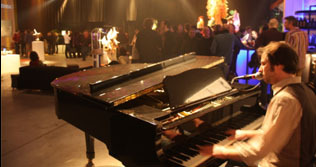 But Indigo Studios is also a great venue that can cater for up to 600 people in its vast complex. The former warehouse has been completely adapted into a multifunctional venue in a good location and with a great selection of possibilities , artists and acts on offer as well. Indigo Studios responds to a growing need for Art & Entertainment and also pays particular attention to sustainability and the needs and wishes of the client. 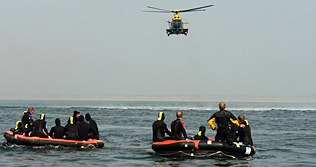 • On March, 2nd, Germany organizes their annual workshop. For more information, click here. • Concert Noble, the magnificent event hall in Brussels, has been sold by its owners KBC to the NV Edificio. This also means that the management team will change. • Europcar Belgium continues its efforts for sustainable development and has made an agreement with Volvo to add 270 vehicles to the fleet that have an emission of maximum 104g CO2 per kilometer. • BCD Travel indicates that London was once again the most popular business travel destination before Paris & Frankfurt. Outside Europe New York beats Dubai to the number 1 position. • New business location at the Efteling, Holland: “Station de Oost De Efteling” proposes 27 diferent event locations in and around the old train station! Click here for more info. • Behind this link, click here, you find an overview of all top events in Flanders for 2010 - 2011. A 55-page document realized by Toerisme Vlaanderen. • The winners of the Boost Awards are known since February 25th, 2010. Click here for an overview of the winners from the different categories. • The visitors of the site www.hostelworld.com have elected Lisbon as the city with the best hostels in the world! • Scorpios favor exotic destinations, Pisces love tranquil surroundings, and Leos appreciate luxury and glamour. As diverse as their personal characteristics are, so are the individual preferences of the twelve star signs when it comes to the perfect holiday accommodation. And with 450 unique hotels in over 250 destinations worldwide, Worldhotels offers the ideal hotel for every taste. Click here for more details. • The Rezidor Hotel Group announces yet another record year of openings: In 2009, one of the fastest growing hotel companies worldwide brought 36 hotels with 7,100 rooms into operation across Europe, Middle East and Africa – and created a total of 4,000 new jobs in these properties. 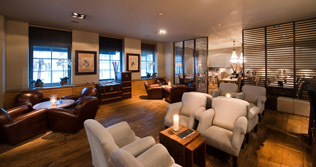 • Best Western announces the opening of its 8th hotel in Brussels. Best Western Expo situated next to the Brussels Expo complex. • The famous 2 Michelin star restaurant Beluga in Maastricht, Holland now also offers its guests the opportunity to stay over at the exclusive Beluga mansion! • As from June 22nd Middle East Airlines will fly 3x per week from Brussels to the Lebanese Capital Beirut. • Low cost career Air Arabia flies 4 x per week from Brussels South to Casablanca. • CityJet introduces a new premium economy-product, Cityplus, that replaces the actual business class. With CityPlus, CityJet aims for the business traveler who looks for a good quality/price ratio, flexibility and priority handling all the way. • United Airlines inaugurates a new daily service between Chicago and Brussels on March 28th. • British Airways goes green. It will develop, in collaboration with the Solena Group, the first durable kerosene production unit in Europe and this low in CO2 fuel will be used in a part of the fleet as of 2014. • As from July 2010 Brussels Airlines will fly to 4 new African destinations: Accra, Cotonou, Ouagadougou and Lome. • The number of passengers at Brussels Airport has risen for the first time since the fall of 2008, without the heavy snow in January the figures would have been even better. • Kingfisher Airlines, the largest Indian domestic airline has signed an agreement to join Oneworld. • Isabelle Jamet has been appointed Assistant Director of Sales for the Starwood Brussels Complex. • Daniele Vranken has replaced Ghislaine de Coninck who served as Secretary General of the Federation of European and International Associations established in Belgium, (FAIB) for 25 years. • Arnaud Feist is the new CEO of Brussels Airport where previously he was CFO. • Laughing is good for you! In every take5 edition we publish a small funny video clip from YouTube. Get you regular dose of ‘fun vitamins’ by clicking here.